UPDATE: August 2014 LET (Teacher Board Exam) results release by end of October - PRC Baguio - Balita Boss! 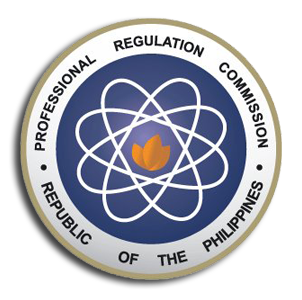 The Professional Regulation Commission (PRC) conducted the Board Licensure Examination for Professional Teachers (BLEPT) last August 17, 2014. The August 2014 Licensure Examination for Teachers (LET) or the Teachers Board Exam was given by PRC and Board for Professional Teachers (BPT) in the following testing center: NCR- Manila, Baguio, Cagayan de Oro, Cebu, Davao, Iloilo, Palawan, Laoag, Legazpi, Lucena, Pagadian, Rosales, Tacloban, Zamboanga, Bacolod, Catanduanes, Masbate City, Catarman, Batanes, Jolo, Sulu, Bongao, Tawi-tawi, Romblon, Puerto Princesa, Palawan, Occidental Mindoro, and Hong Kong. The results of August 2014 LET will be released by the end of October 2014, according to PRC Baguio Regional Office. PRC Regional Director Teofilo Gaius M. Sison, Jr. said the exam results will be released by end of October 2014. Examinees can verify their grades/ratings at www.prc.gov.ph by clicking Online Verification of Ratings (OVR), using their Application Number. (via PRCBaguio.blogspot.com). In August, the PRC Baguio Regional Office posted in their site saying that exam results will be released after 20 working days, contrary to the usual 30-45 working days after the day of examination. The complete list of passers, topnotchers, top performing schools and performance of schools of the Licensure Examination for Teachers for August 2014. The Board for Professional Teachers who administered the August 2014 Board Licensure Examination for Professional Teachers were Dr. Rosita L. Navarro, as Chairman; with members namely Dr. Paz I. Lucido, Dr. Paraluman R. Giron and Dr. Nora M. Uy. In January 2014 Let Exam Results, a total of 11,120 elementary teachers out of 38,377 examinees passed the Elementary Licensure Examination for Teachers (LET) and 12,033 out of 42,358 examinees passed the Secondary Licensure Examination for Teachers. DAISY BUENAVENTURA REYES of XAVIER UNIVERSITY for Elementary and DEIDRE ROLDAN MORALES of UNIVERSITY OF THE PHILIPPINES-DILIMAN for Secondary topped the January 2014 Teacher Board Exam.